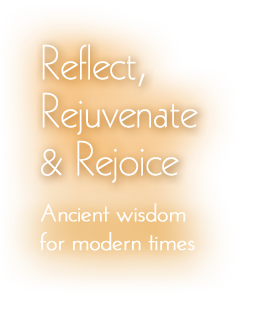 In the Vedic tradition, holidays are calculated according to the lunar Vedic calendar. Holidays are honored each year based on the lunar month and the phase of the Moon, according to Vedic astrology, or Jyotish. This is the month of Sharavan, and it contains Lord Krishna’s birthday. We celebrate Krishna Janmashtami 2014 on August 17. As we celebrate Krishna Janmashtami 2014, we are honoring the birth of beloved Krishna, who is an incarnation of Lord Vishnu. 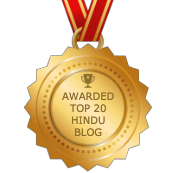 The sacred Vedic text, the Bhagavad Gita is features a dialogue between Shri Krishna and his devoted disciple Arjuna, regarding proper dharma, or right moral conduct. The word janma translates as “birth”. Ashtami is the 8th tithi (ti-thee) or phase of the Moon. 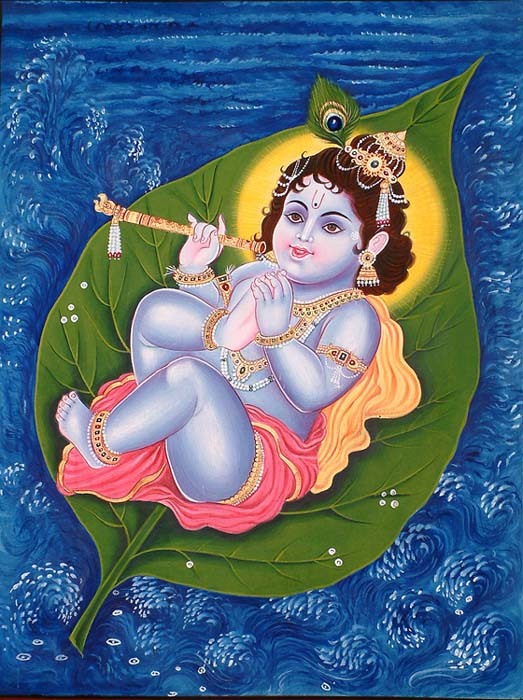 Krishna Janmashtami 2014 is celebrated on the 8th phase of the waning Moon IKrishna paksha) in Vedic astrology. The phase of the Moon is calculated at sunrise in the Vedic calendar. Krishna Janmashatmi is celebrated at midnight following the day of tithi of ashtami. 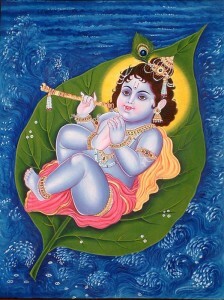 Baby Krishna (or “Bal Krishna”) was a playful, mischievous child. He had great enthusiasm for life. Thus, his birthday is celebrated with a great deal of mirth and merriment. Krishna is also associated with bhakti or devotion. Krishna devotees lovingly shower Krishna with their devotion on his birthday of Krishna Janmashtami.